IBM unveiled its IBM Q System One at the 2019 Consumer Electronics Show this week. It is a quantum computing system meant for scientific and commercial use. In addition, the company announced plans to open a IBM Q Quantum Computation Center later this year. Amazon showed up to CES with a number of new devices from smart home solutions, new Alexa-powered products and developer services. For developers, the company introduced a Amazon Alexa Premium Far-Field Voice development kit as well as a handset OEM. Smart solutions included smart home devices for security, networks, entertainment, sound, and automotives. Some standout Alexa smart home solutions included Daikin One smart thermostat, an Amazon Alexa connected switch from Legrand, new GE lightning, and a Currant Smart Wall Outlet that analyzes power usage. In addition, Key by Amazon expanded its keyless entry offerings with Key for Garage, Ring app compatibility, and Key for business. Baidu announced new edge computing solutions with the announcement of its open-source edge computing platform and new edge computing products.With the open-source solution OpenEdge, developers can build edge computing systems and deploy them on a variety of different hardware, the company explained. The solutions will include data collection, message distribution, function compute, AI inference and cloud synchronization. OpenEdge is part of the company’s Baidu Intelligent Edge (BIE), which includes cloud-base management functionality. The company also announced BIE-AI BOX, which will be a joint collaboration from Baidu and Intel to incorporate BIE technologies in vehicles; and BIE-AI-Board for embedding BIE software into hardware such as camera, drones and robotics. Engineer.ai is teaming up with DigitalOcean to make it easier for users to build custom software solutions. Engineer.ai provides a human-assisted AI solution for building and operating bespoke software. Engineer.ai will provide its builder platform for AI-powered software assembly while DigitalOcean’s developer cloud will provide a simplified app setup and deployment option. Samsung debuted what it envisions for the future of the smart home. The company has been investing in new products as well as AI, IoT and 5G technologies to create the next-generation of consumer experiences. The company will continue to expand and improve upon its SmartThings ecosystem and intelligent platform Bixby. In addition, Samsung revealed new entertainment solutions, the 2019 Family Hub, new work solutions and connected driving experiences with HARMAN. In addition to PC and device announcements, Intel paved a path for its self-driving, autonomous future at CES. The company revealed plans to expand the impact of automotive data with a new partnership with mapping agency Ordnance Survey that will provide new location data to improve operations and bring us closer to smart cities and safer roads. The company is also working with Warner Bros on autonomous driving in the entertainment world. The company also revealed Mobileye’s Road Experience Management technology for crowdsourcing maps for AVs and creating a global roadbook. BlackBerry wants consumers to trust IoT devices with the company’s new BlackBerry Secure solution. According to the company, 80 percent of consumers around the world don’t trust Internet-connected devices. BlackBerry’s latest solution aims to address this with trusted software and a proven framework for building secure smart products. BlackBerry will provide secure solutions for enterprises, foundations and enablement. Learning Resources is trying to help kids learn how to code without relying on computer skills. The company showcased a new screen-free coding solution that can teach kids as young as five the basics of coding. The solution is called Meet the Coding Critters. It includes three interactive pets that introduce coding concepts through storybook adventures. Landis+Gyr and MicroEJ showcased their partnership and highlighted their development strategy for making it easier to create smart grid and smart infrastructure apps. Landis+Gyr is launching Gridstream Connect Apps, which is designed to support grid-edge applications and offers support for creating custom utility applications. Sprint has made several announcements regarding its new 5G network and Curiosity IoT’s network. According to Sprint, it has selected Greenville, South Carolina as its first “Smart City” powered by Curiosity IoT and 5G. It has also announced that Peachtree Corners, Georgia will serve as a test area for self-driving cars and emerging vehicle technology. 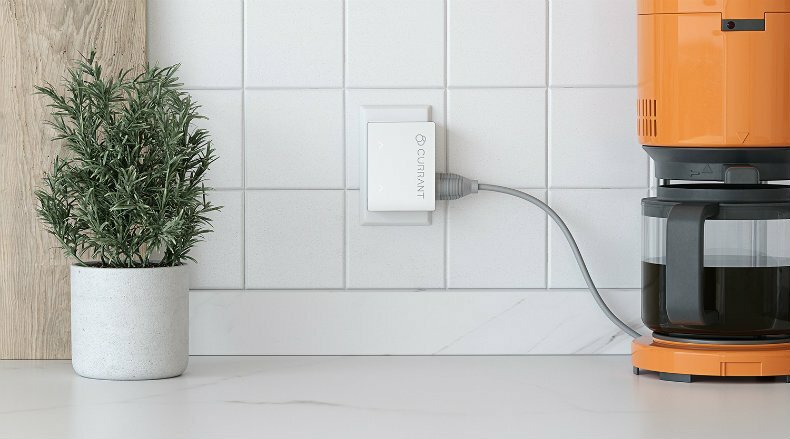 Belkin and Chargifi announced a new collaboration to integrate Chargifi’s smart technology with Belkin’s BOOST UP Wireless Charging Spot. According to Chargifi, this integration with provide insights on customer behavior and diagnostics on health of charging spots in a network. At CES, it is showcasing its BlackRidge Transport Access Control (TAC) product line, as well as its BlackRidge TAC Identity (TAC-ID) device. According to the company, TAC-ID is used for authenticating network connections for equipment in factories, hospitals, and critical infrastructure architectures. It also supports convergence of operation technology and information technology networks, the company explained. The post Quantum computing, CloudOps, smart home solutions and more from the 2019 Consumer Electronics Show appeared first on SD Times. Next Writing a test plan for each story?